Mauritius is known by many adventurers as a little paradise Island that offers beautiful beaches, spectacular sunsets, and tasty/colorful food experiences. What most adventures don’t realize is that your holiday here is not limited to lazing on the beach and admiring the turquoise water of the sea. 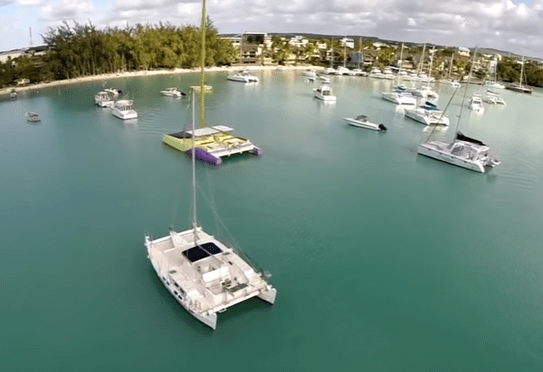 Mauritius is home to some of the best parasailing spots in the world. Parasailing is indeed an adventure of a lifetime –giving a sensation of flying with an adrenaline rush that makes you feel like a superhero of some sort. Flying across blue skies with a magnificent view of the sea below you will no doubt create an unforgettable experience. Crashing waves underneath lends an awesome sound effect as the pull from the boat emphasizes on the thrill with the additional speed and maneuvers. You have two options to choose from –you can opt to fly in tandem or take a single flight. Parasailing alone is great if you’re on a solo adventure trip, and you get to completely personalize the parasailing experience. 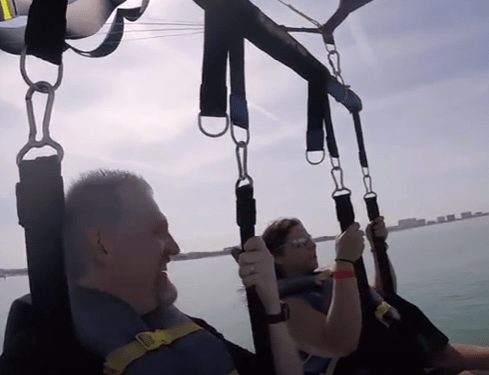 On the flip side, parasailing in tandem allows you to experience the flight with your significant other close by. The idea of gliding above the sea in the blue skies in the arms of your significant other is bound to create memories you will cherish together forever. If parasailing in the north and other extreme water sports activities are your things, you’re definitely going to enjoy this. There are many places in Mauritius you can enjoy parasailing, but here are the most popular locations. Grand Baie (or Grand Bay) is a fishing village in the North that is scenic from the ground and even more spectacular from the sky. The parasailing patrons here are experienced and will allow you to enjoy your parasailing flight with no fear or panic. But you will certainly feel the thrill and mini-adrenaline rush that is synonymous with any parasailing adventure. 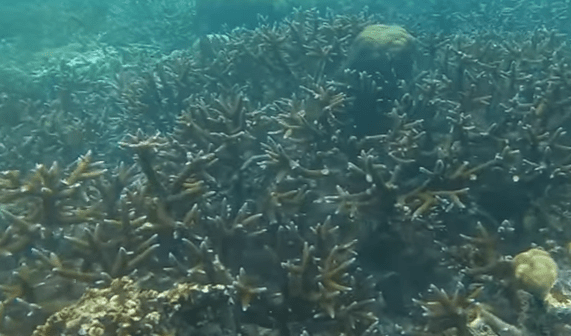 Also known as the Deer Island, Île aux Cerfs is located in the East coast Mauritius, Flacq district. The magnificent Island is made of about 100 hectors of beauty and mystery. Floating above the iconic coastal region and beach gives you an opportunity to capture the beauty from the blue skies and release your worries and tensions. This another beautiful beach in the North of Mauritius Island, between the Pointe aux Piment and Mont Choisy. The beach is famous for offering spectacular photographic settings and postcard scenery. The best part about this beach is that while it’s very popular among parasailing enthusiasts, it’s always calm and never crowded. is known to be the longest beach located north of Mauritius. It extends its beauty to the Pointe aux Canonniers and Trou aux Biches and can be easily recognized thanks to the coastal line that forms an arc. The beach is famous for its beautiful powdery white sands, turquoise water and a long stretch of casuarina trees. And there is no other best way of enjoying the scenery here than from up in the sky floating under a parasailing parachute. Weigh-in: Parasailing usually has weight limits. In locations where single parasailing is allowed, the weight limit tends to be around 80-100kg. Locations that allow parasailing for two tend to have a weight limitation of about 180kg. 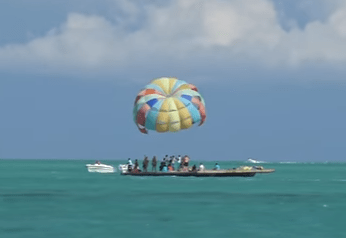 Safety Briefing: While parasailing is a completely safe activity, you will still be taken through a safety briefing where the patrons will inform you about the potential hazards of the activity. You will then take a boat ride to the where all the fun begins –the launch podAt the launching pod, the crew will tie you securely using a harness which will be checked by safety instructor to ensure everything is in a perfect condition. All harnesses used here meet the international ISO safety standards. The best thing about parasailing, unlike many other water sports in Mauritius, you don’t need any steering, riding or driving skills. The parachute auto-steers itself along the boat as you’re left with all the time and freedom to enjoy the breathtaking views and flying experience. Parasailing rates in Mauritius vary depending on the location, the time you will take in the air and whether it’s a single or double parasailing experience. But most parasailing sessions will take around 5 to 15 minutes. Again, the pricing is variable but will range from 20-40 Euros. All the same, parasailing is one of the most affordable ways to have fun and thrilling experiences in Mauritius.